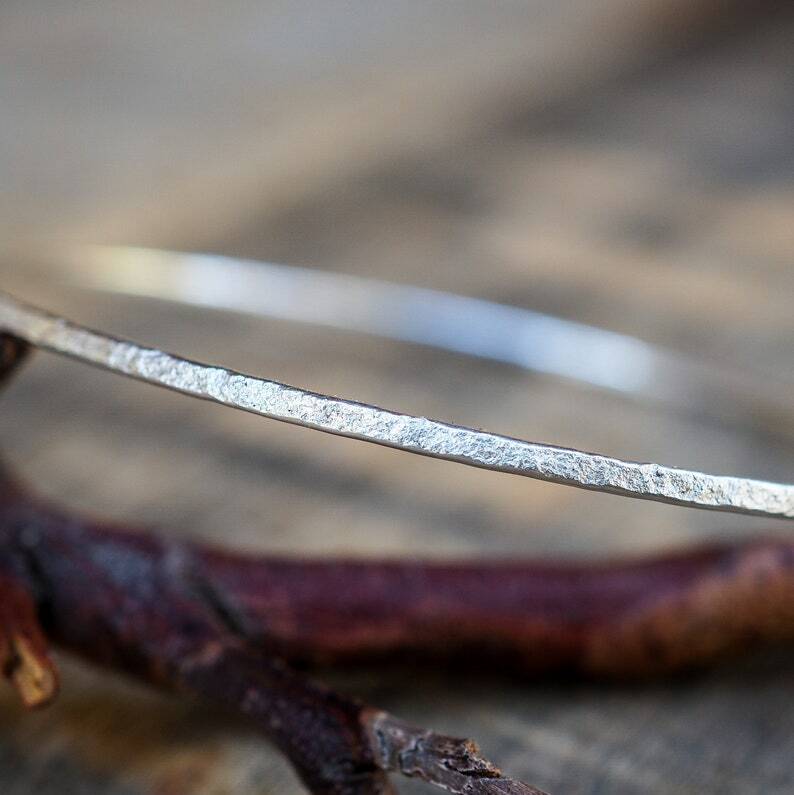 Handmade solid sterling silver stacker bangle, a fraction under 2mm (5/64th inch) wide, created in my own unique organic style and texture. Wear it alone for a minimalist look or stack it with your bangle collection. Why unique? Because the texture is created using handmade custom tools. You wont see this design anywhere but here at Wild Forest Studio. This design I call Stone. Shown alone and also with other textured bangles as a lovely collection. Please allow 2 - 3 working days from time or order to shipping.